Point source pollution is a phrase used by the U.S. Environmental Protection Agency, state environmental agencies, other environmental regulators and international agencies to refer to pollution that originates from a well-defined source over a discrete area. Point source examples include discharge outlets like a sewage pipe or a smokestack. In contrast, nonpoint source pollution originates over a broad area. A parking lot or farm field surface runoff is an example of nonpoint source pollution. There are many types of pollutants that can be released by point sources, but there is often no sharp distinction between point vs. nonpoint pollution in terms of the types of discharges to the environment. Toxic chemicals releases into air and water, hot water discharges and greenhouse gas emissions are examples of point source pollutants. These same pollutants can also be discharged from nonpoint sources as well under certain circumstances. Combustion products: Burning fuel of any type produces toxic combustion byproducts such as carbon monoxide and sulfur dioxide along with particulate pollution that has been linked to a wide variety of health effects. Factories generally use pollution control equipment to remove many of these toxic constituents before they are released to the atmosphere, but some amount of toxic material does escape to the air. Solvents: Industrial operations rely on many types of solvents for dissolving raw materials and for cleaning equipment and facilities. Many of the solvents are highly volatile, which means that they evaporate easily and mix with the atmosphere. Some of the solvents are quite toxic as well. Contaminated air is typically treated at large industrial operations prior to release through vents and stacks. Some of the toxic solvents escape to the atmosphere, however. Process chemicals: Like solvents, the materials used in industrial processes as raw materials, catalysts and processing aids also escape, usually in small quantities. Common point source examples at a facility include air vent stacks and water discharge pipes. The seemingly innocuous release of heated water is also a common form of point source pollution. Hot water released into a stream or pond can raise the ambient temperature of the water body. The change of temperature, in turn, can make the water unsuitable for some of the forms of life ordinarily inhabiting the area. Microscopic flora and fauna, in particular, can be unusually sensitive to changes in ambient temperature. Many types of facilities release heated water, and power plants typically use enormous amounts of fresh water to cool power-generating equipment. The cooling water becomes heated. Even if it is passed through cooling towers to dissipate some of the heat, the eventual point source discharge is still generally warmer than the receiving waters. 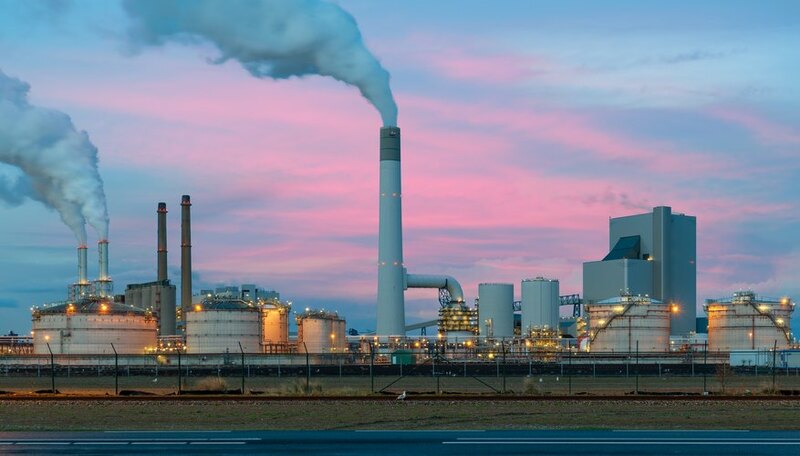 Both fuel combustion and process chemicals can be sources of greenhouse gas emissions, which are chemicals that contribute to global climate change by acting to trap heat in the atmosphere. Combustion produces carbon dioxide that is generally discharged through a smokestack as a point source pollutant. Other combustion byproducts can also contribute to the greenhouse effect. 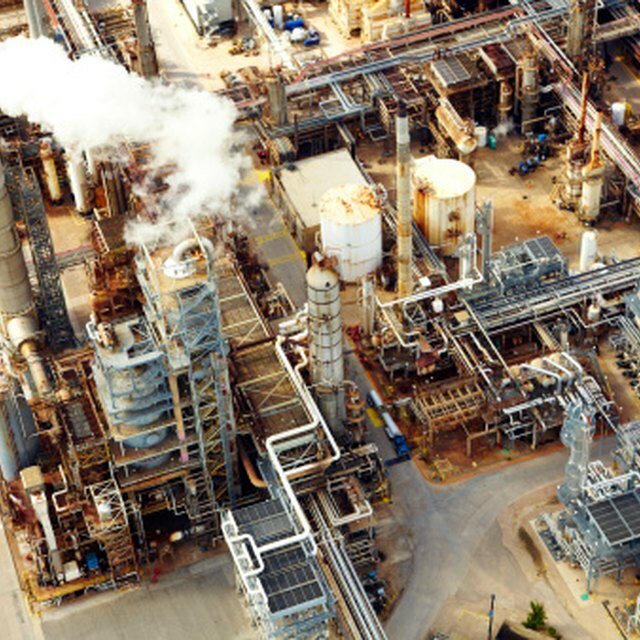 Releases of some process chemicals to the atmosphere also contribute to climate change. The chemical methane is a potent greenhouse gas. Another material, sulfur hexafluoride, is thousands of times more powerful as a greenhouse gas than carbon dioxide, but fortunately, its use is rather limited, and it is not used in very large quantities in modern industry. Sarokin, David. "Three Examples of Point Source Pollutants." Sciencing, https://sciencing.com/three-examples-of-point-source-pollutants-12075878.html. 05 November 2018.